The brilliant colors of our tropical fishes and the soothing aqua hues of the whale, shells, and dolphin make wonderful nightlights that fit right in with an aquatic motif for an oceanic bathroom. Our octopus and starfish decorations are fun to create and paint with their rich purples and textures. The designs can also be painted in colors that coordinate with your decor so just drop us an email and we’d love to paint wall art that is unique for you. We can also shape our glass to fit in a tight location by cutting the glass shorter and wider, thus allowing it to fit easily underneath a bathroom cabinet. (For instance, the aqua shell design). 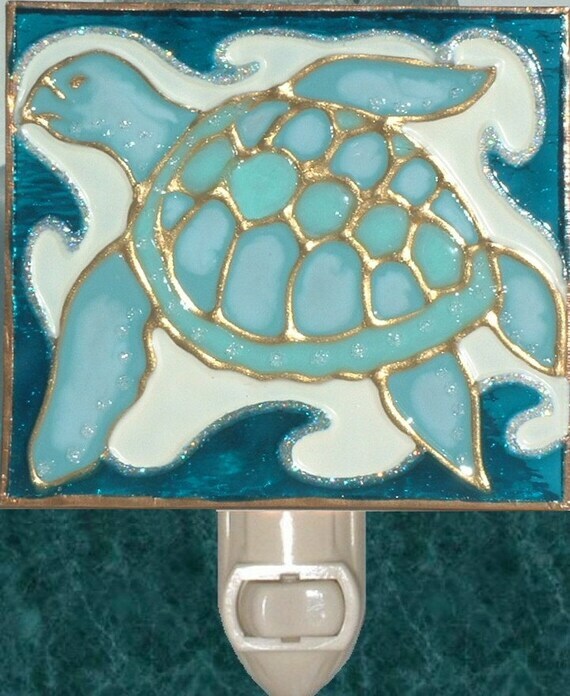 Be sure to visit our Beach Page for more ocean themed designs too.